I just finished up my acoustic version of Fleetwood Mac's beautiful instrumental, "Albatross". Having never really been a big Fleetwood Mac fan, I was surprised when I looked up an ethereal tune from the documentary, Man on Wire, and found it was from early underrated and overshadowed Peter Green-era Fleetwood Mac. Most people only know the much more popular Lindsay Buckingham/Stevie Nicks Rumors era-Fleetwood Mac material, but they started out as a much more bluesy unit. I ended up layering a lot more tracks than I thought I would have to, since the original is so bare. The original creates a lot of atmosphere using reverb and echo, studio effects that I wanted to avoid for this project. "Statesboro Blues" & "Little Martha"
Here are the first two tunes I've recorded, "Statesboro Blues" and "Little Martha", the former of which features my first time ever playing bass. "Statesboro Blues" is an old blues song written by Blind Willie McTell and famously covered by The Allman Brothers Band on At Fillmore East. 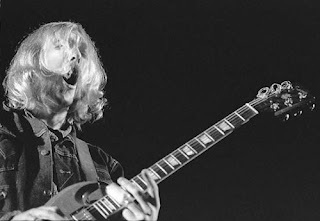 Guitarist Duane Allman first taught himself to play slide guitar after hearing Jesse Ed Davis play slide on a Taj Mahal record, particularly Taj's cover of McTell's "Statesboro Blues". The song stuck in his head, and a few year later "Statesboro Blues" became one of the Allman Brothers' signature songs, and thus, a slide guitarist's staple tune. After Duane passed, fellow Allman Brothers guitar God Dickey Betts, a solid slide player in his own right, reluctantly played Duane's slide parts. It wasn't until Warren Haynes joined the band in 1989 that another slide player would tackle Duane's slide parts. Jack Pearson and Derek Trucks would both eventually take the rotating slide guitar chair opposite Dickey Betts, until Dickey's messy departure from the band. Shortly after Betts' departure, Warren Haynes returned to the fold, giving the Allmans two slide guitarists who would alternate slide duties on a nightly basis. In recent years, the song has come nearly full circle and Taj Mahal has sat in with the Allman Brothers on his own arrangement of "Statesboro Blues". "Statesboro Blues" is one of those perfect songs. 4 minutes long, lean, and a ton of fun. I've always loved playing slide, and adapting songs to acoustic slide is part of the purpose of this project. It's also important to me to break these songs down, learning all of the parts to see how they interact. Learning to play bass is a lot more fun and easy than I initially thought it would be. I figured "Statesboro Blues" would be a great way to start. Duane Allman died in a motorcycle accident shortly after At Fillmore East went gold. At the very beginning of his success and recognition, he was gone. Before his death, he left the world with perhaps the most perfect song ever written, "Little Martha". The only song Duane Allman ever wrote for the Allman Brothers appeared as the final track on the Allman Brothers' 1972 album, Eat A Peach. It's practically a lullaby, and was named after a monument of a young girl in Rose Hill Cemetery (as was "In Memory of Elizabeth Reed"), not far from where Duane Allman himself lies. The instrumental was recorded as a trio, with Duane on dobro, Dickey on acoustic guitar, and Berry Oakley on bass, though the bass was dropped from the final mix (that version has since been released as well). The Allmans rarely performed "Little Martha", partly out of respect for Duane, but also because they were an electric jam band first. "Little Martha" typically only appeared playing over the PA at the end of shows to signal that the music is over. Over the years, as other artist such as Jerry Douglas have performed the song, the Allmans have resurrected it here and there. Former Allman Brothers pianist Chuck Leavell performed "Little Martha" on keys at a Volunteer Jam in the late 1970s as a tribute to his former band, who had broken up at the time. After the success of their MTV Unplugged Show in 1990, the reformed Allman Brothers included an acoustic set in the middle of their live shows, but still only very, very rarely performed "Little Martha". Dickey Betts arranged an electric jam on "Little Martha" with his own band in 2004, but it was dropped from set lists soom after. It wasn't until the Allman Brothers celebrated their 40th anniversary in 2009 that the song would return to their set with a modest regularity. The band created 4 distinct arrangements: a guitar duet, a trio with bass, bass solo, and with the full band that would segue into the instrument portion of "Blue Sky". 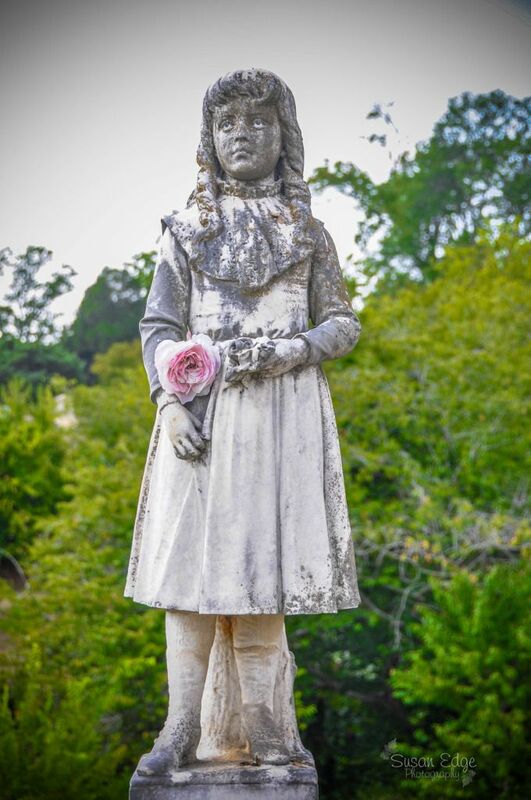 In a beautiful tribute, "Little Martha" was performed by the Mercer Strings among the tombstones of Rose Hill Cemetery. Welcome to BrettBob's Back Porch, featuring music I've put together. More to come soon.